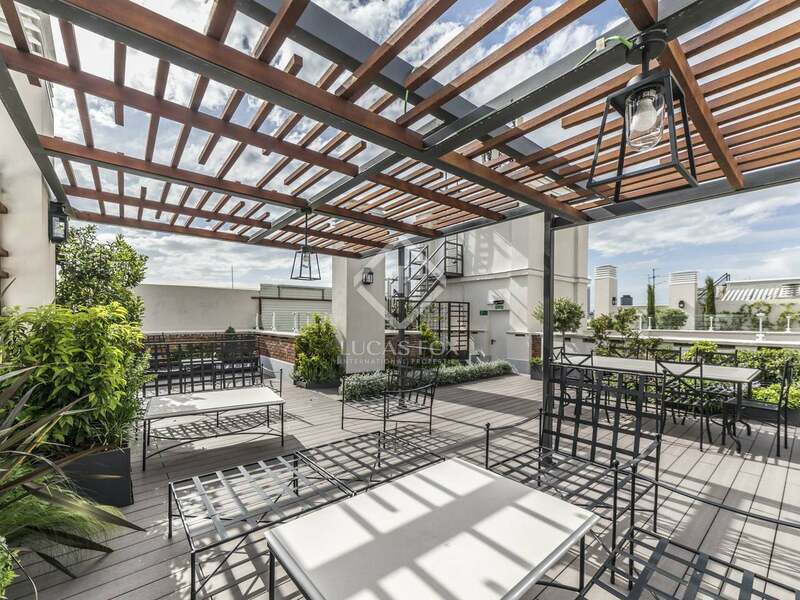 This property is part of the Serrano 85 Apartments. 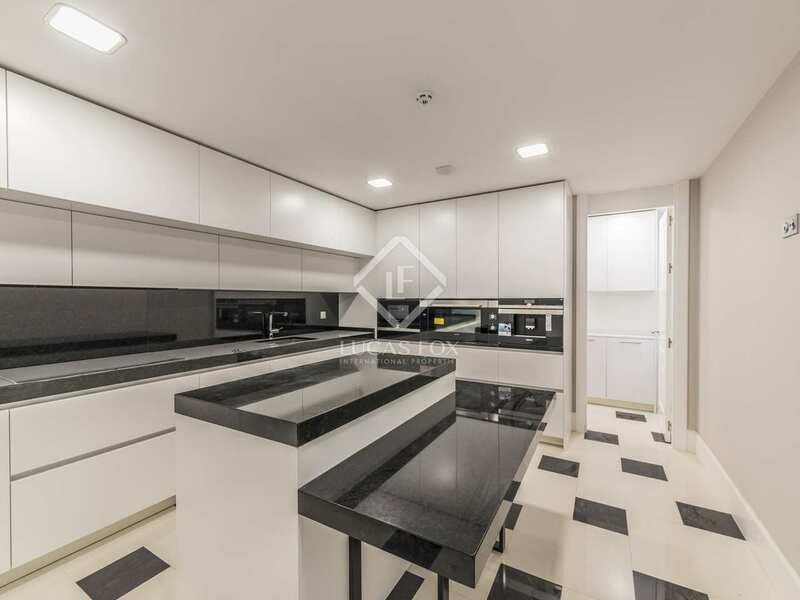 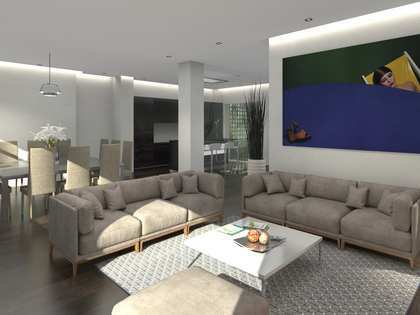 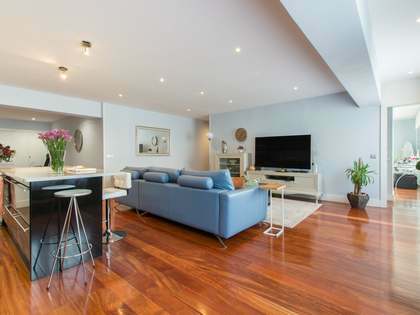 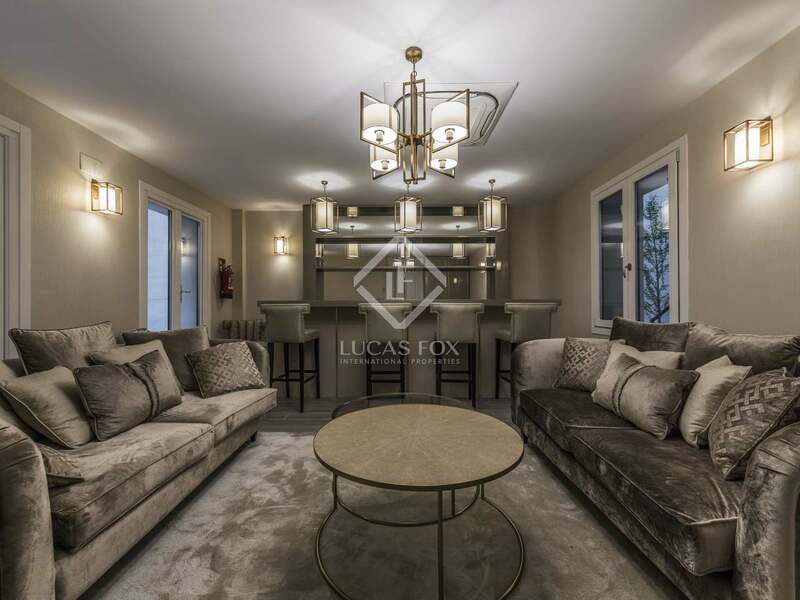 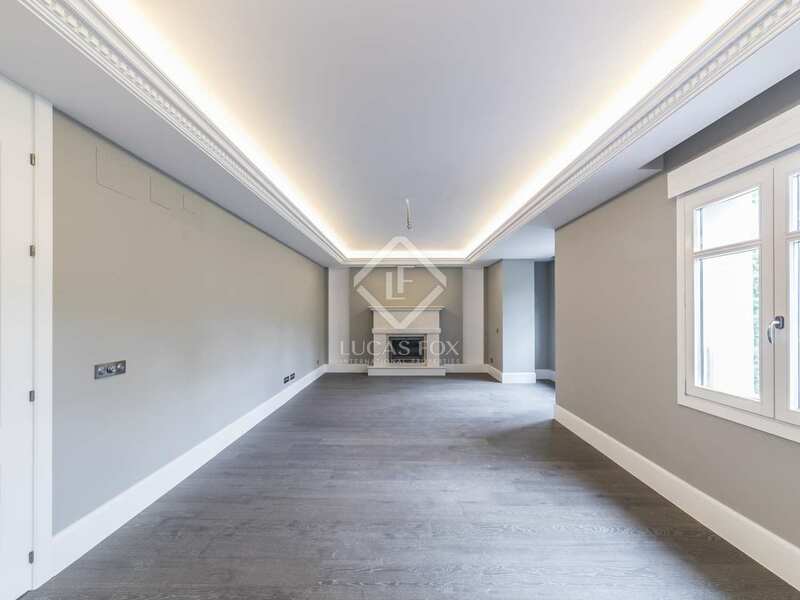 New Development offering high-end 3 and 4-bedroom properties for sale in a classic 1920’s building on Calle Serrano with exceptional communal facilities. 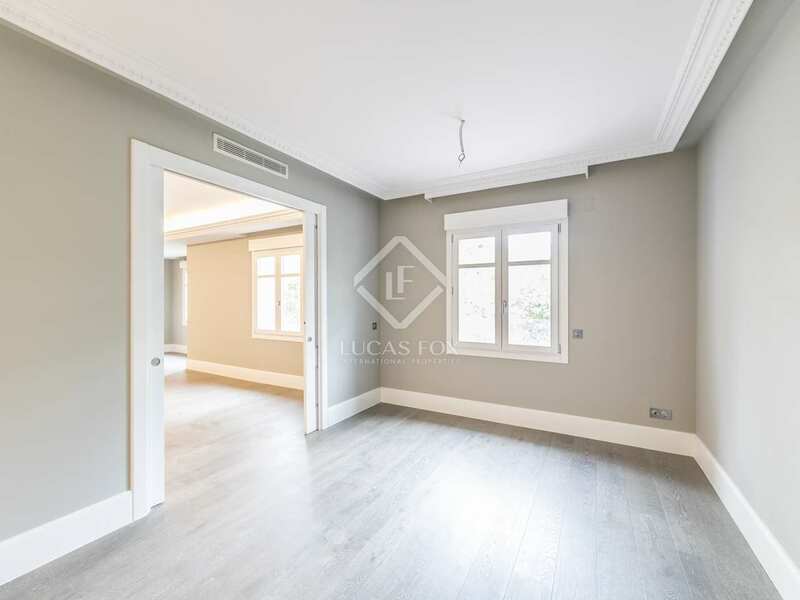 New Development offering high-end 3 and 4-bedroom properties for sale in a classic 1920’s building on Calle Serrano with exceptional communal facilities. 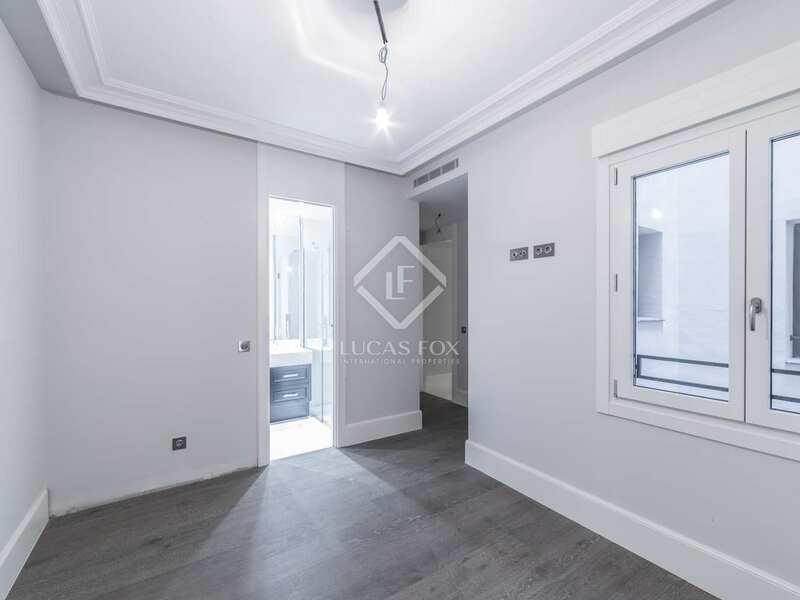 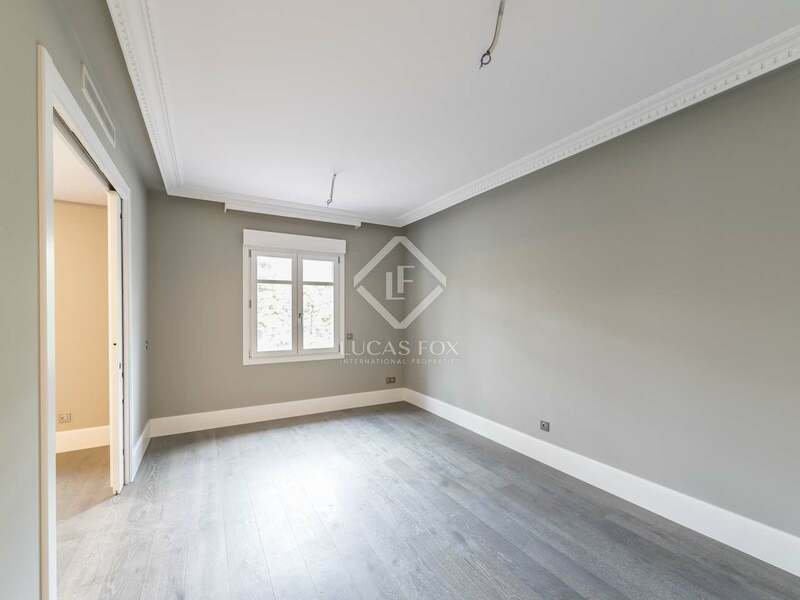 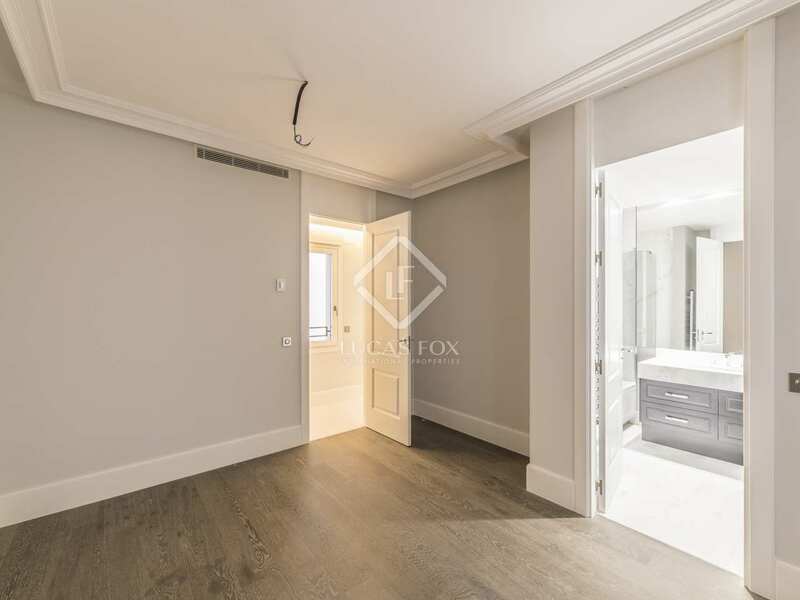 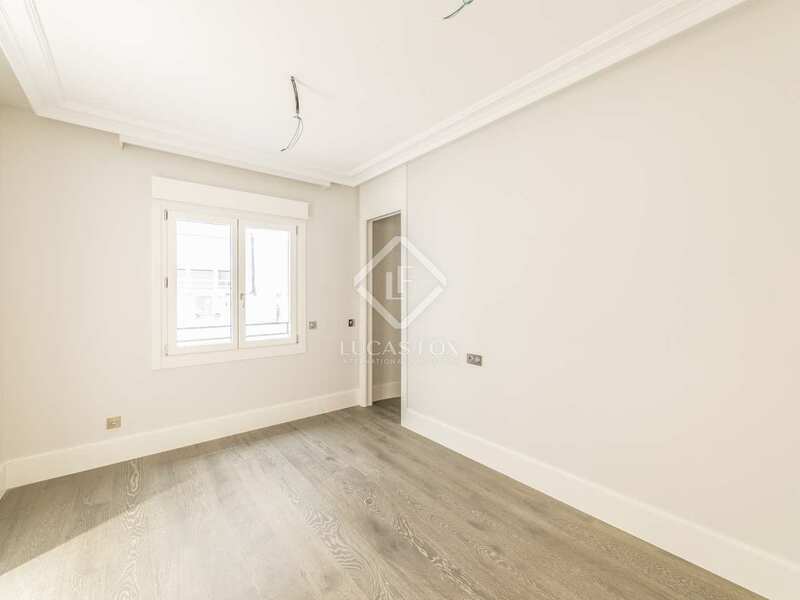 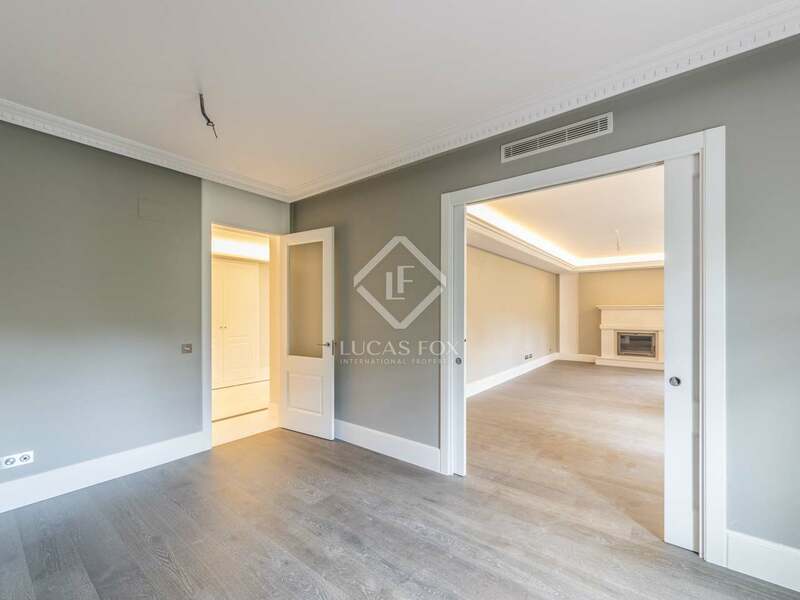 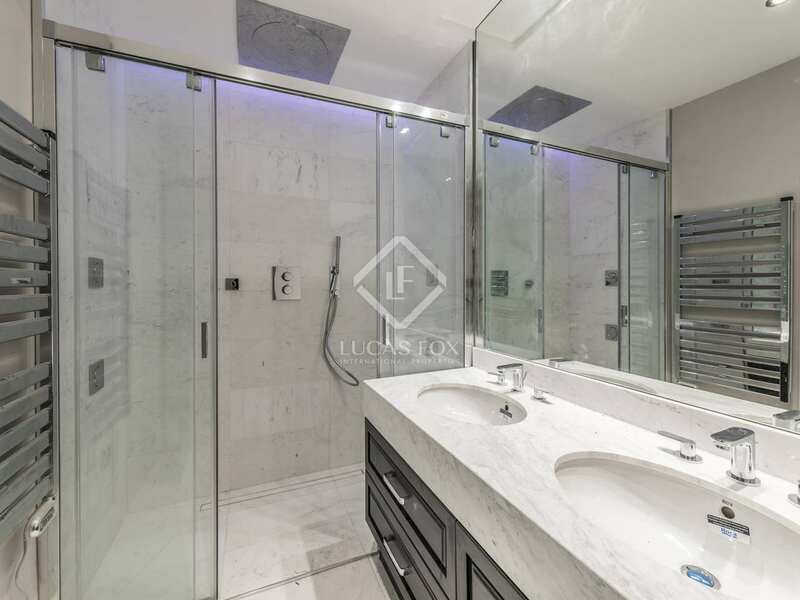 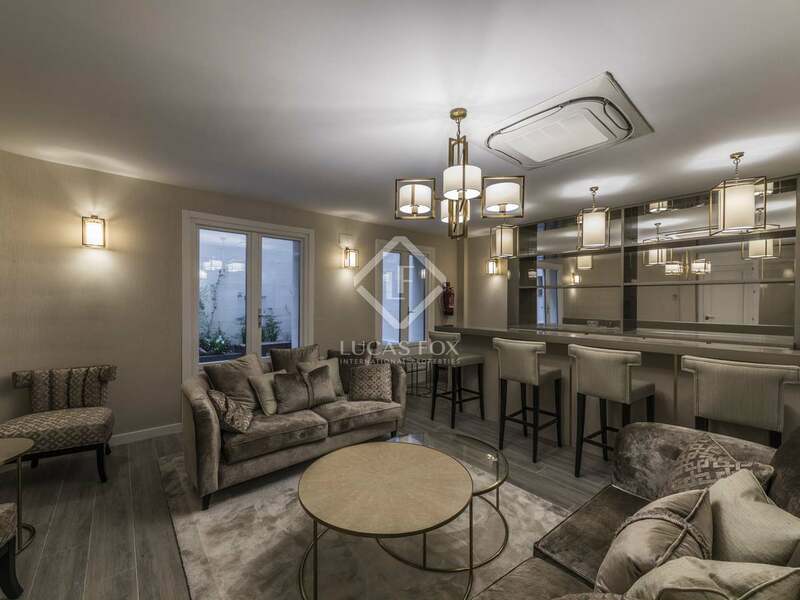 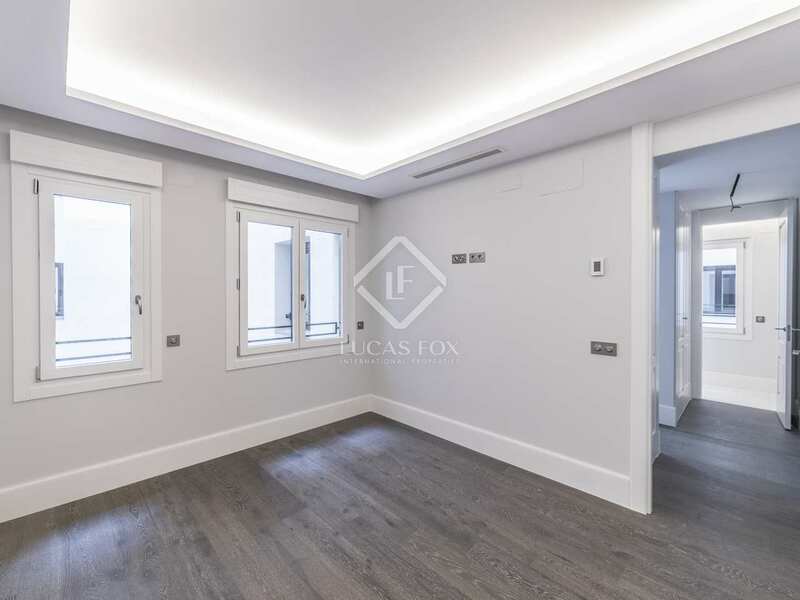 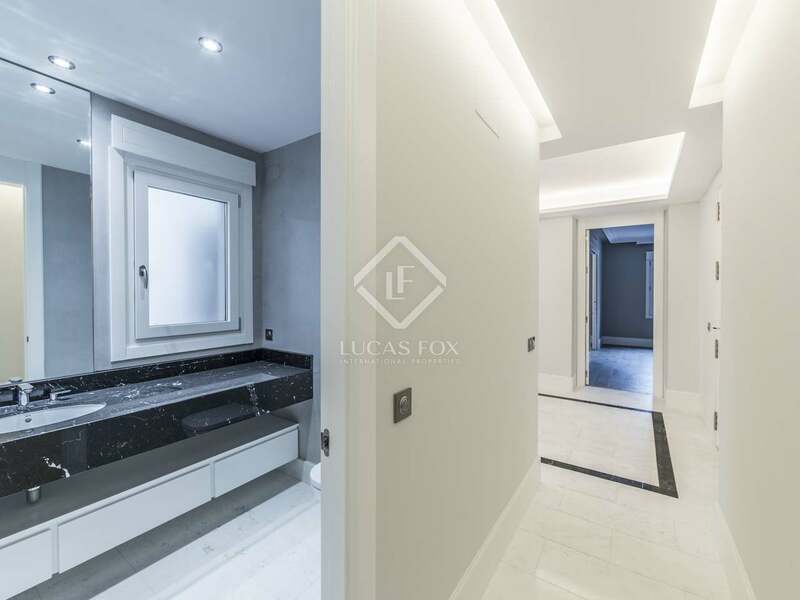 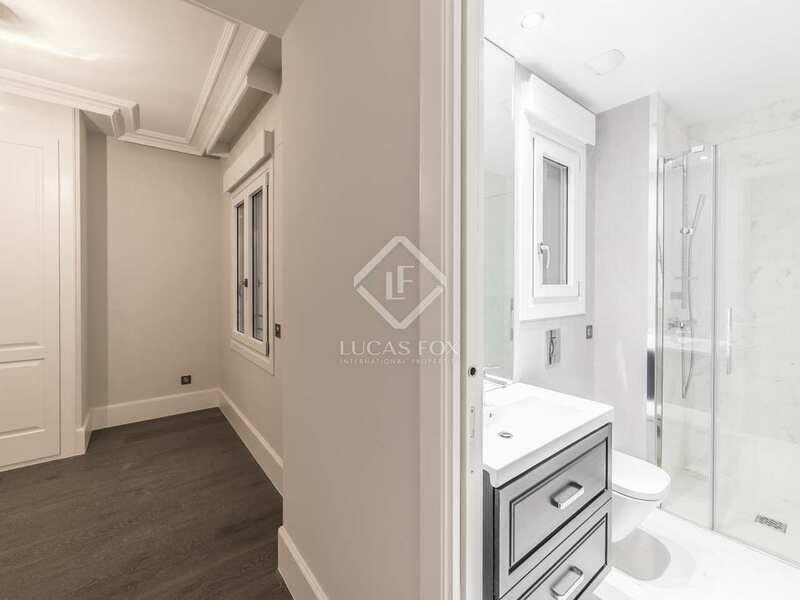 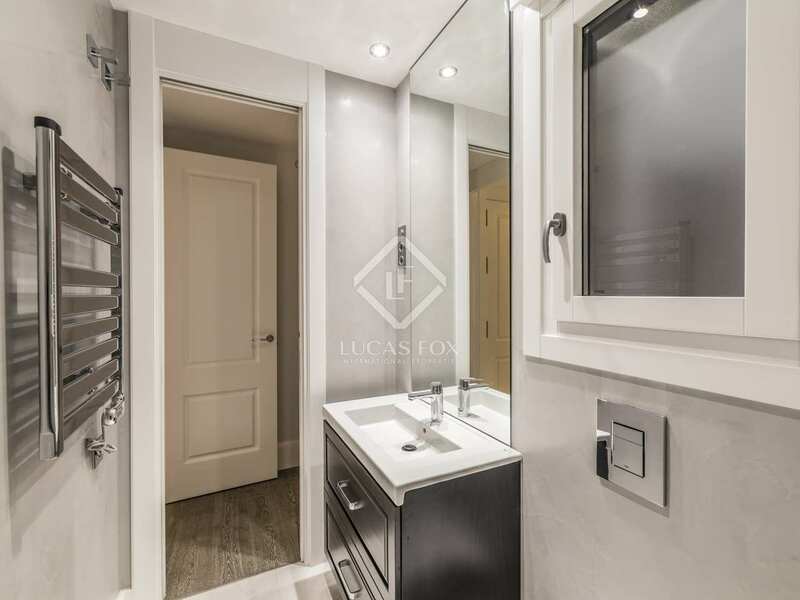 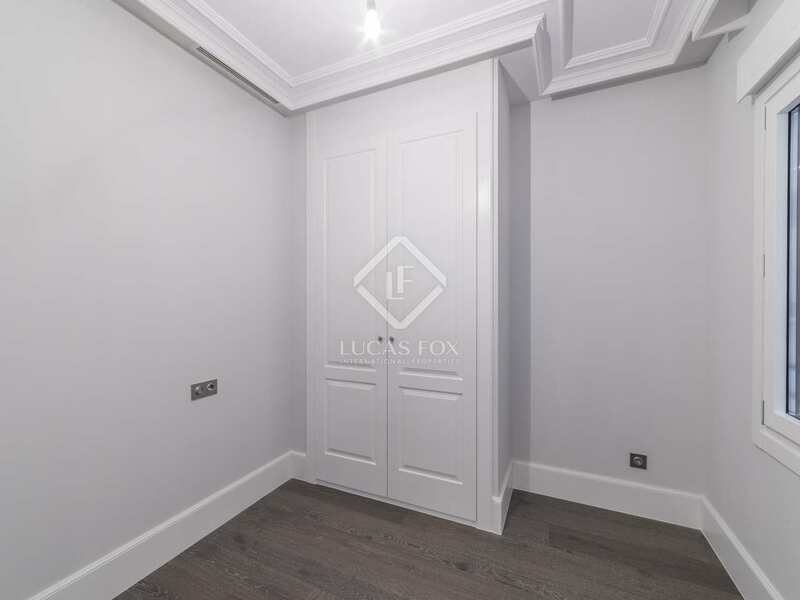 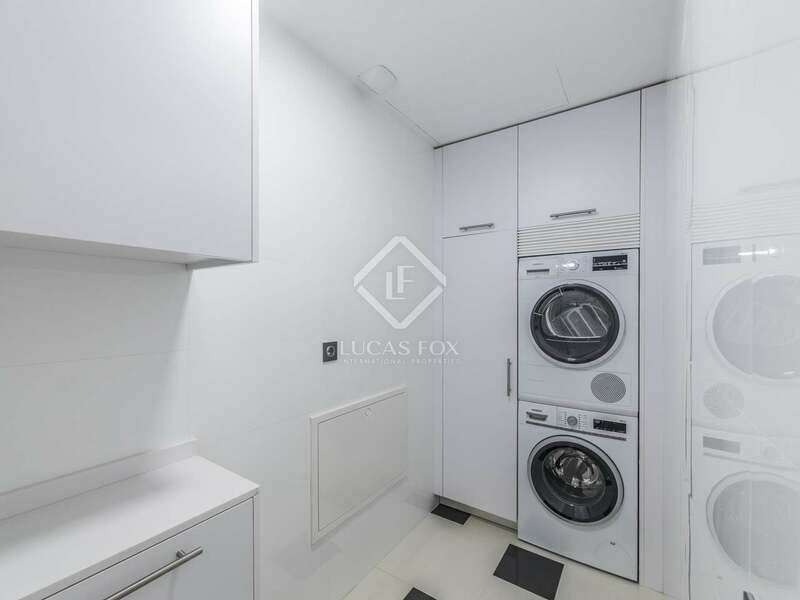 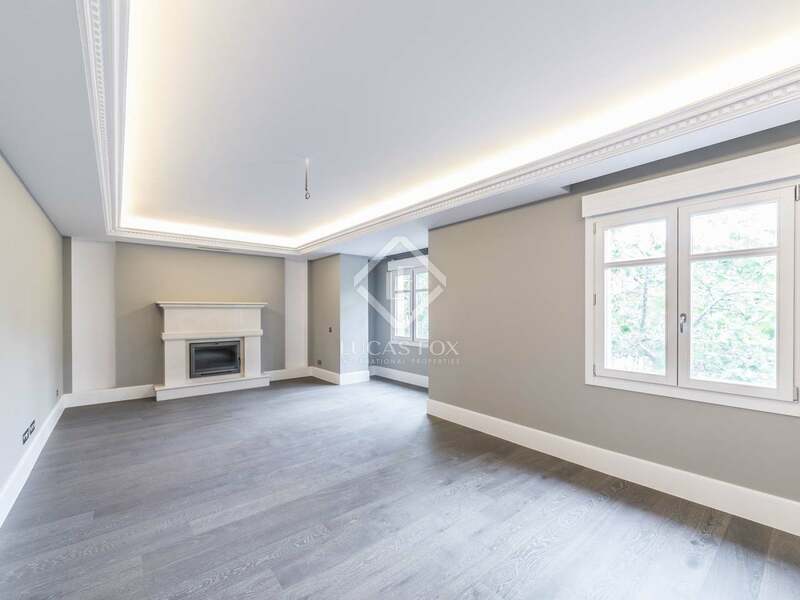 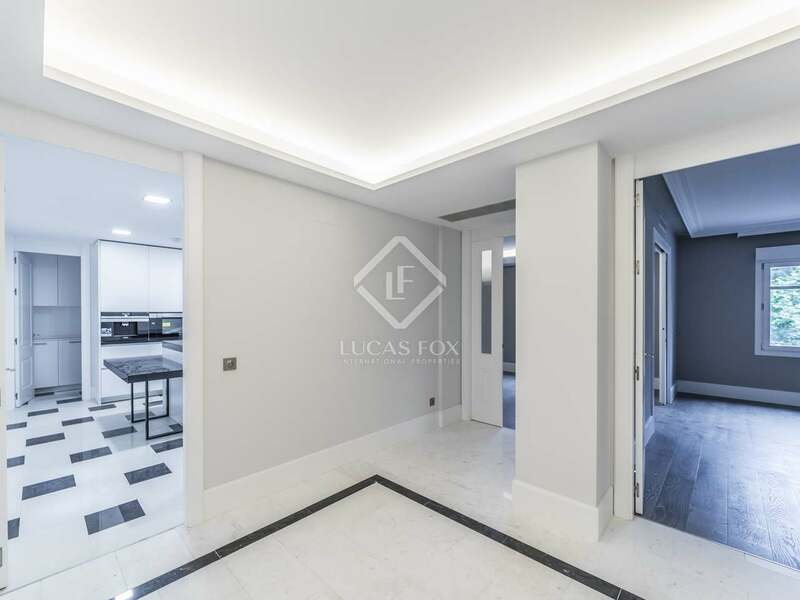 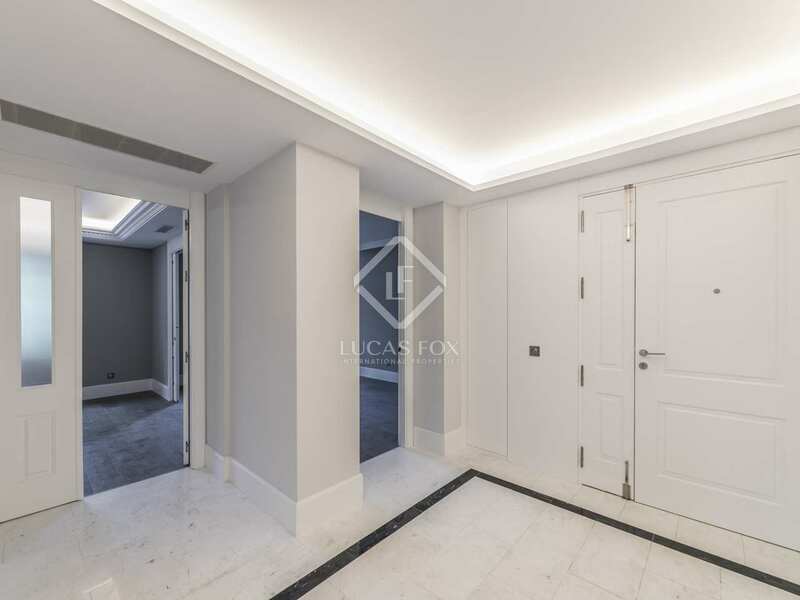 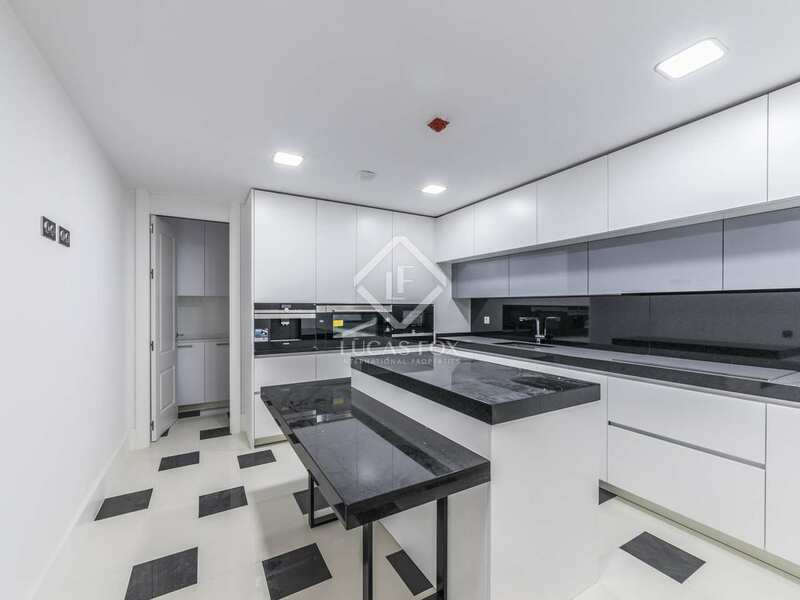 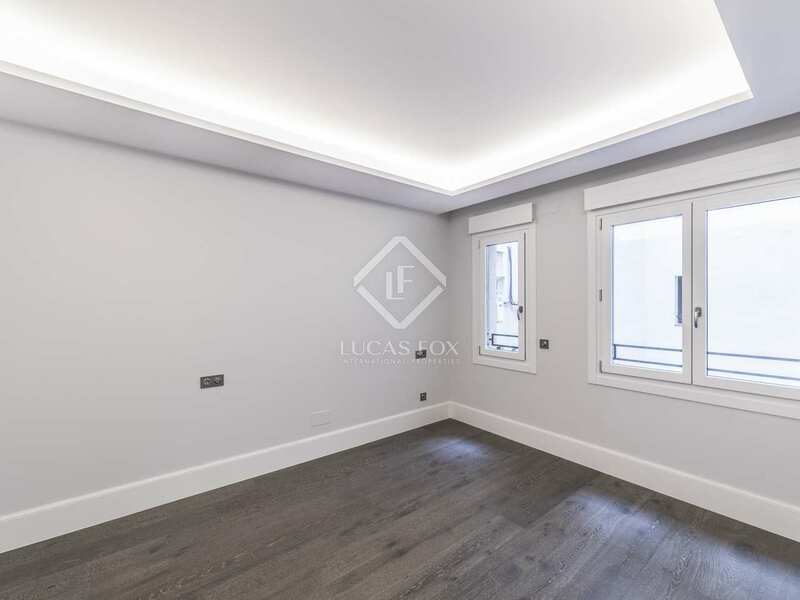 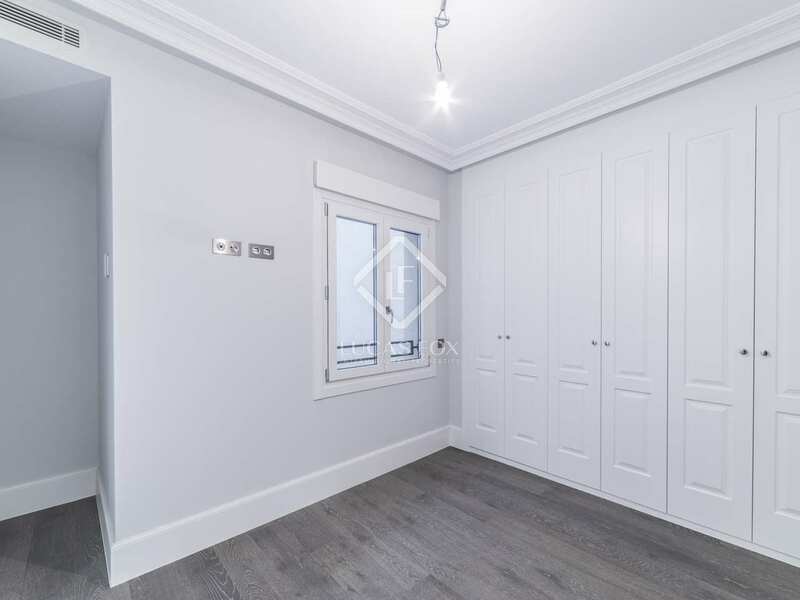 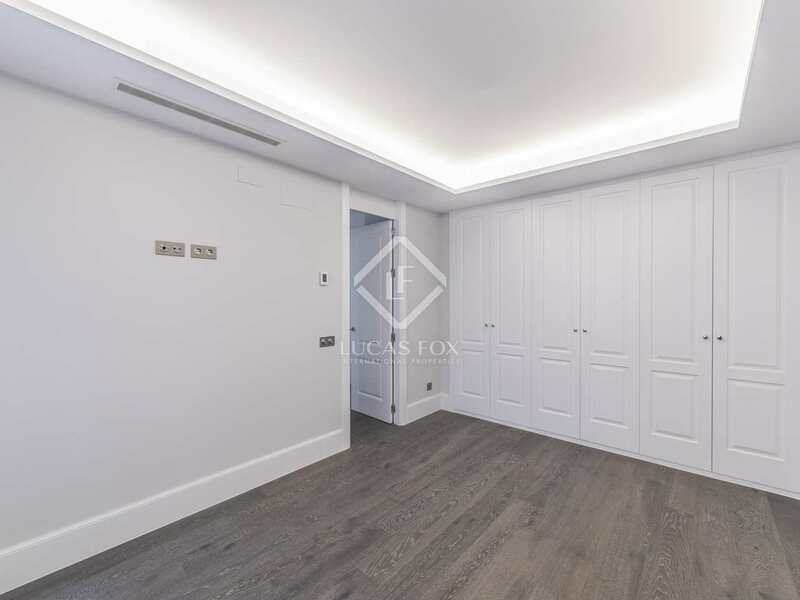 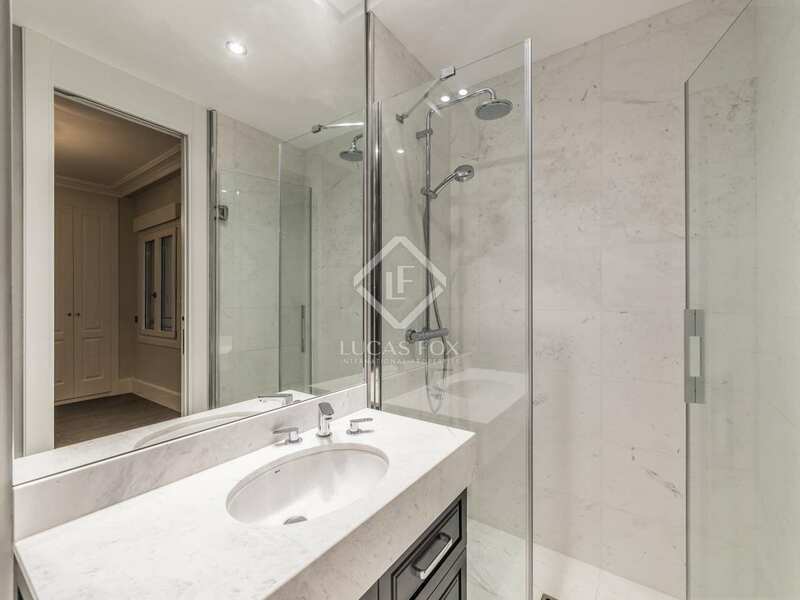 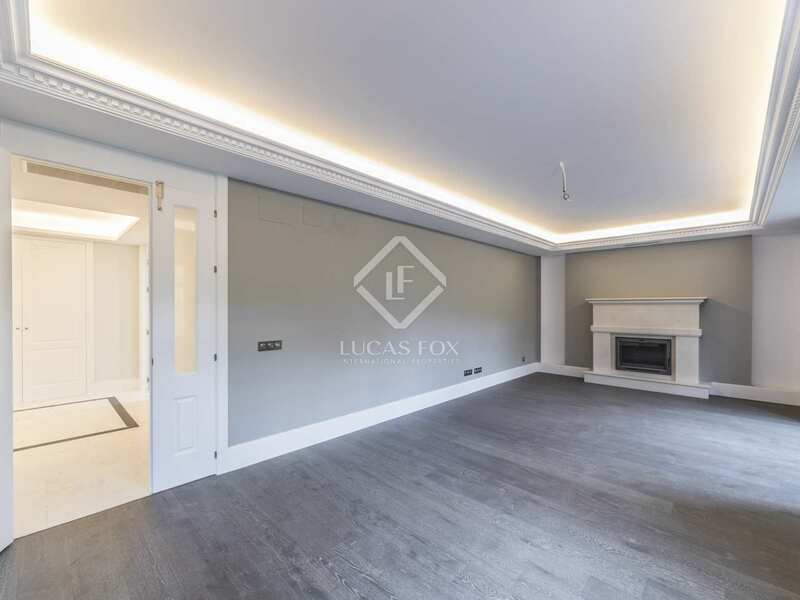 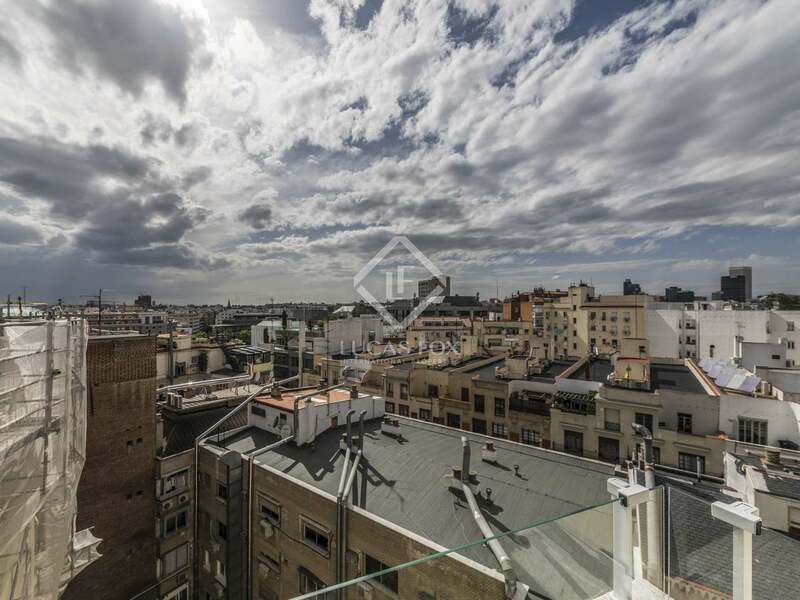 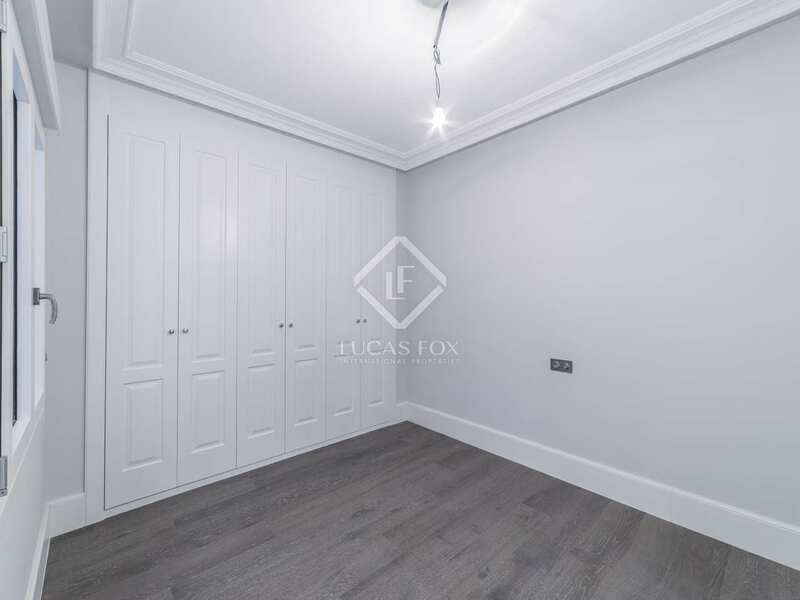 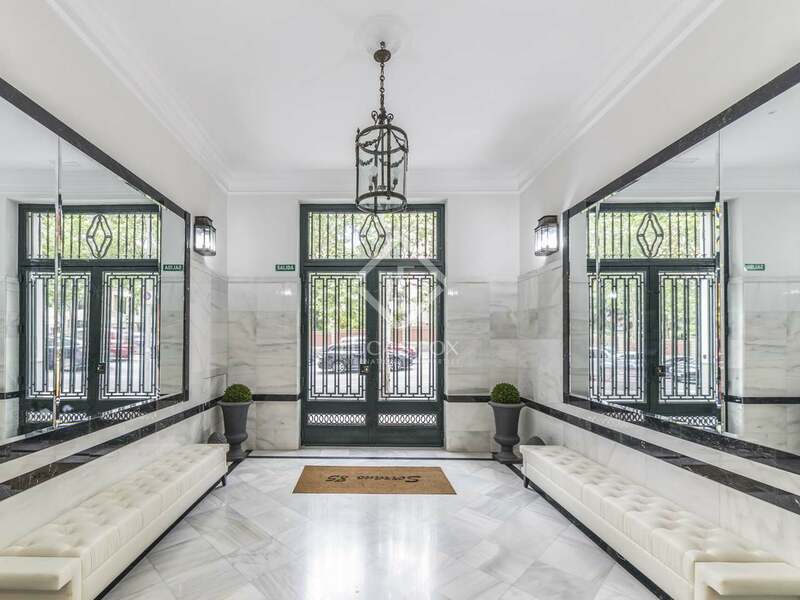 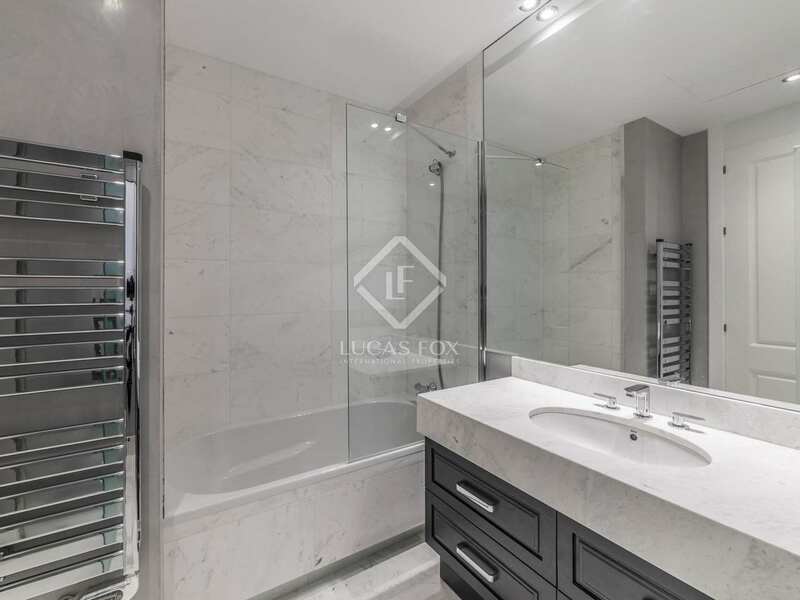 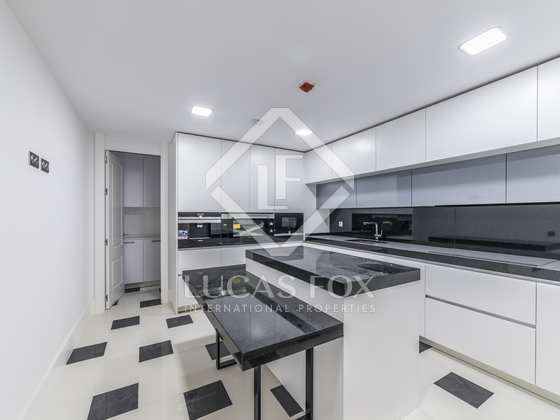 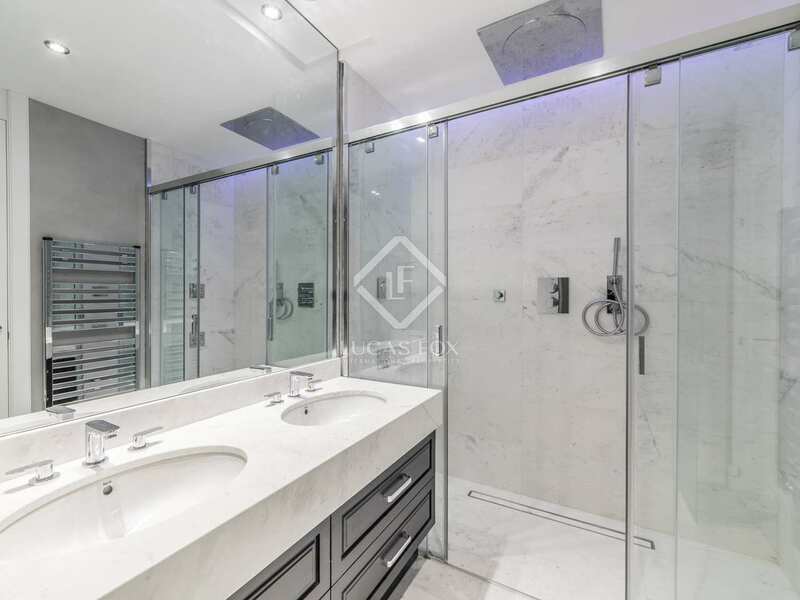 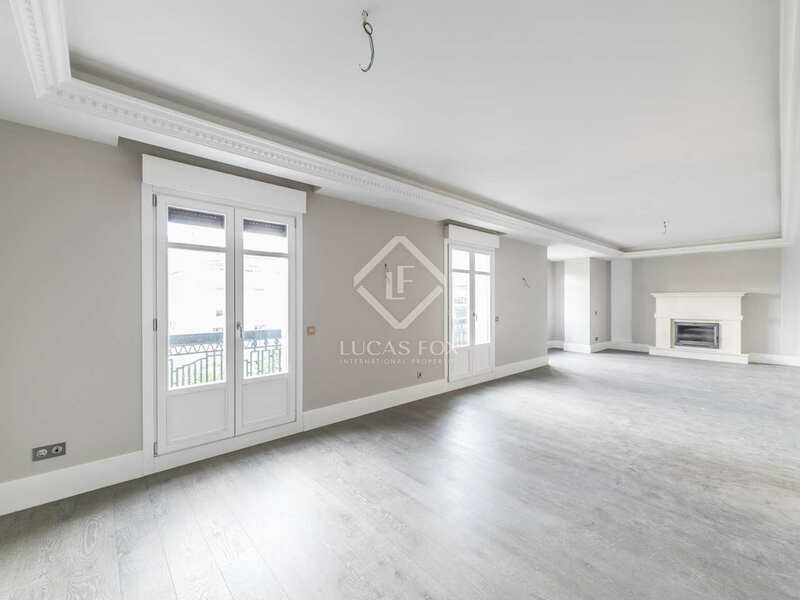 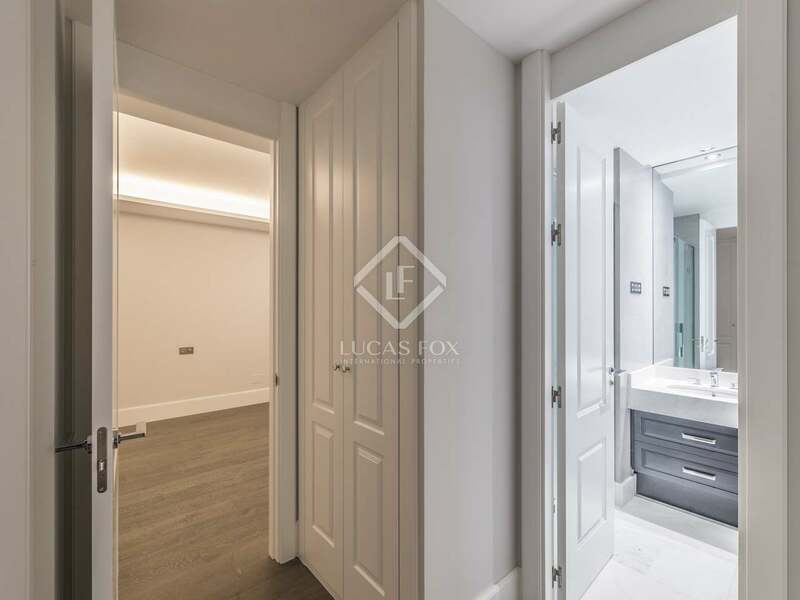 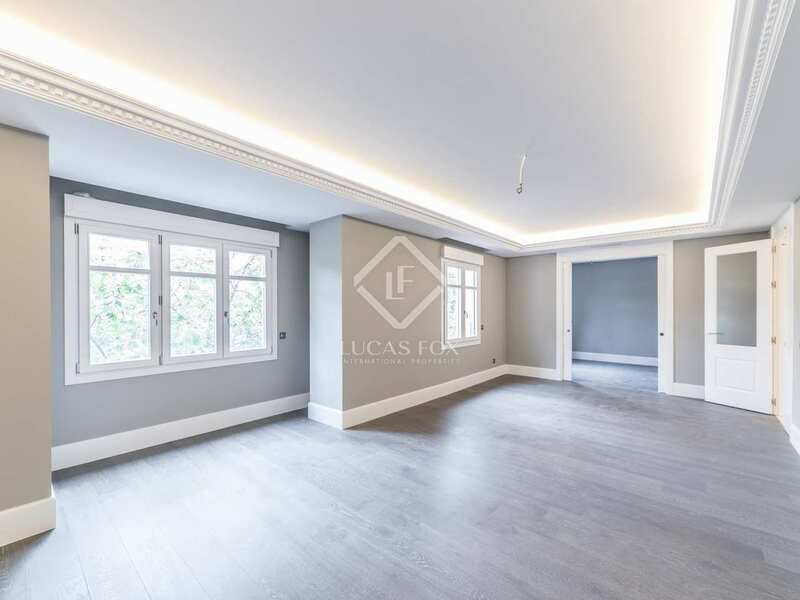 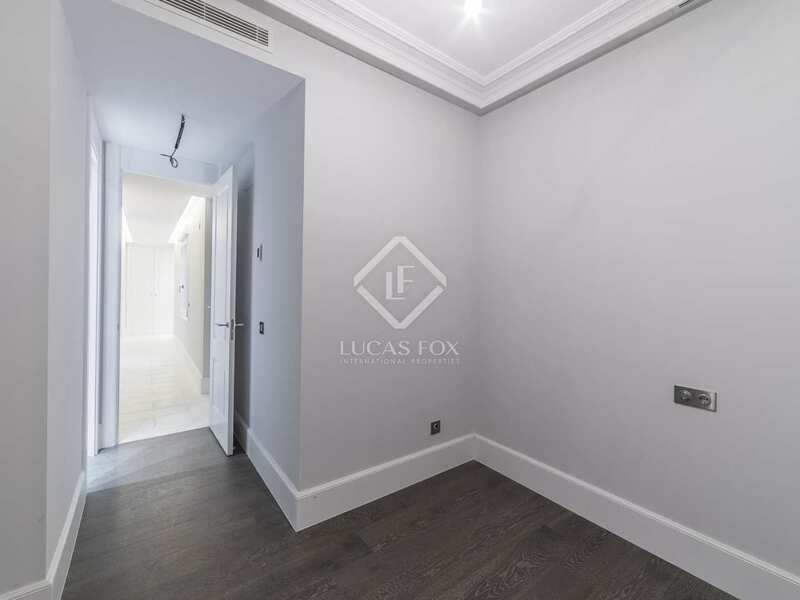 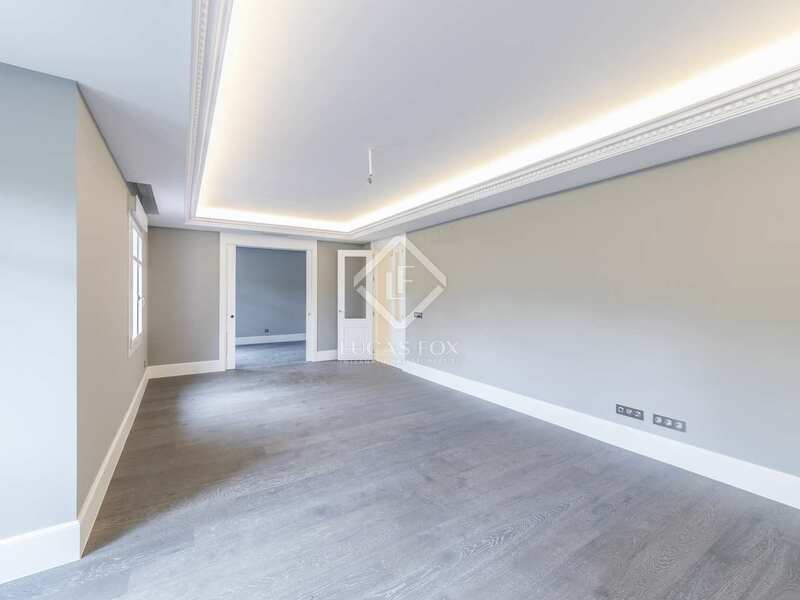 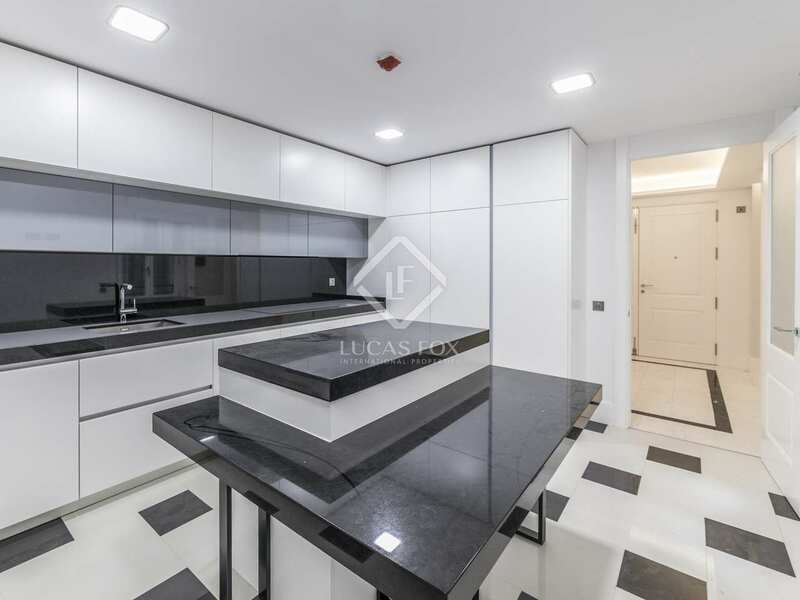 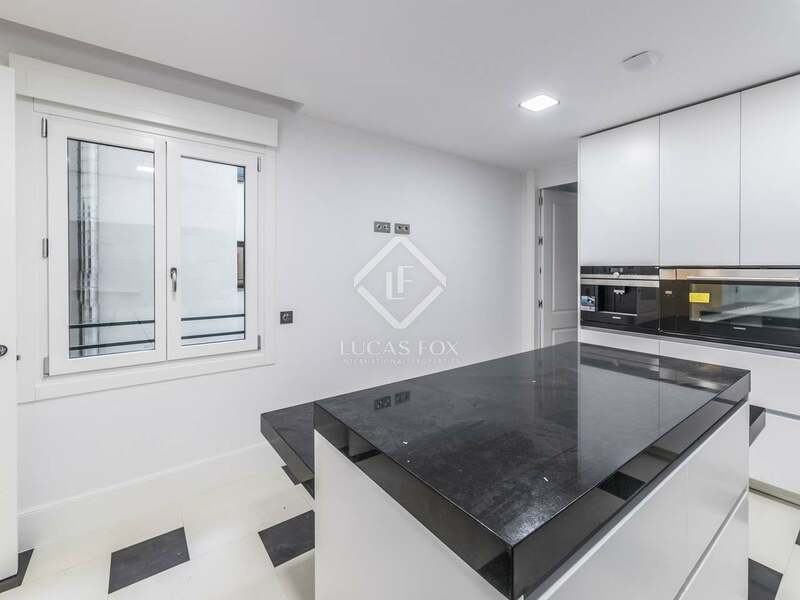 This elegant, fully renovated 1920's building is located on the most tranquil stretch of Calle Serrano, in the highly desirable Castellana area of Madrid. 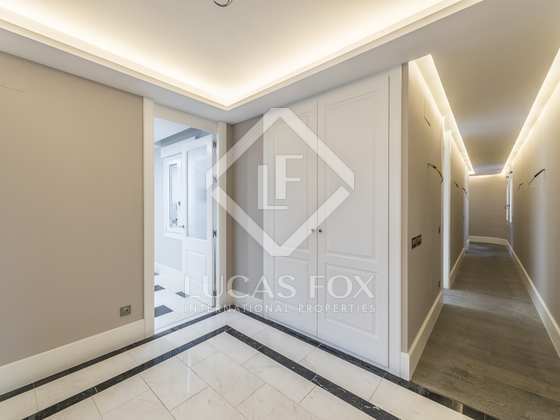 This enviable address places residents at the heart of the city, surrounded by high-end restaurants, the best shops and overlooking the stunning Lázaro Galdiano Museum. 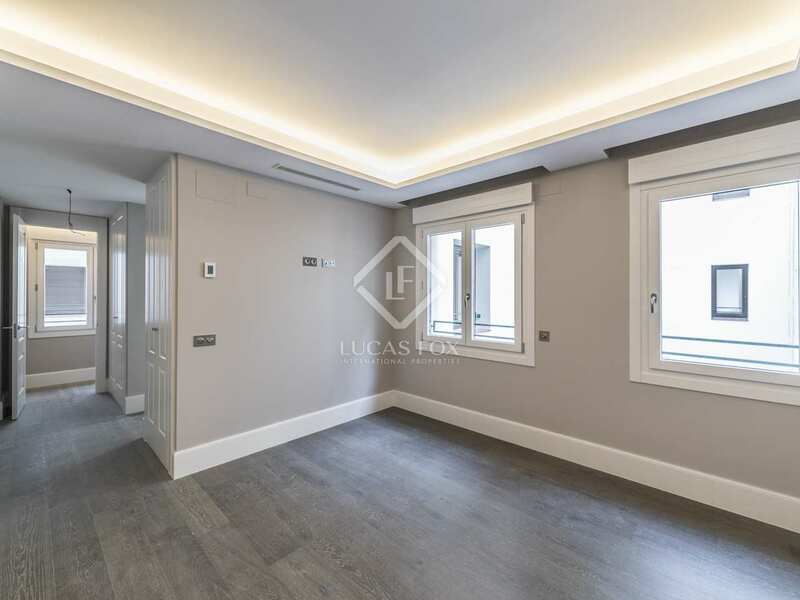 Buyers may choose between 3 and 4-bedroom properties on the third to the seventh floors with 2 apartments per floor, which range from 264 m² - 326 m² and all have balconies, or terraces in the case of the 2 penthouse properties. 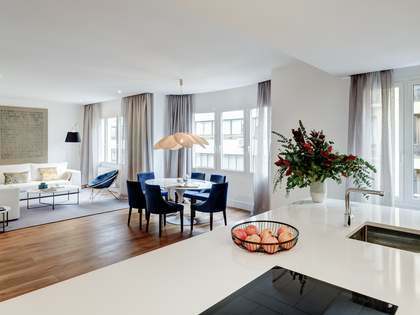 All of the units benefit from stylish interiors with marble and wooden flooring, generous living areas, dining rooms, modern kitchens and bathrooms and bedrooms with fitted wardrobes. 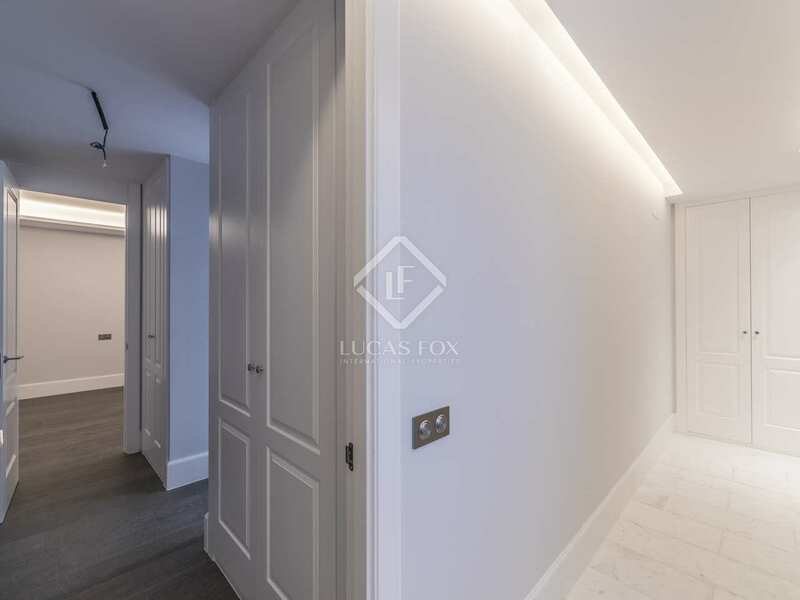 The project has sought to maintain the original 1920's style the building by restoring the façade, staircase and other period features to their former glory. 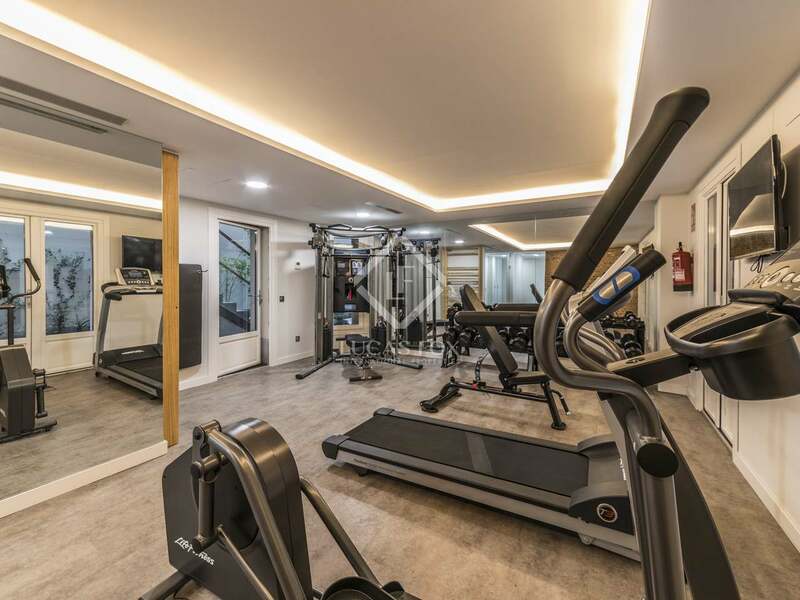 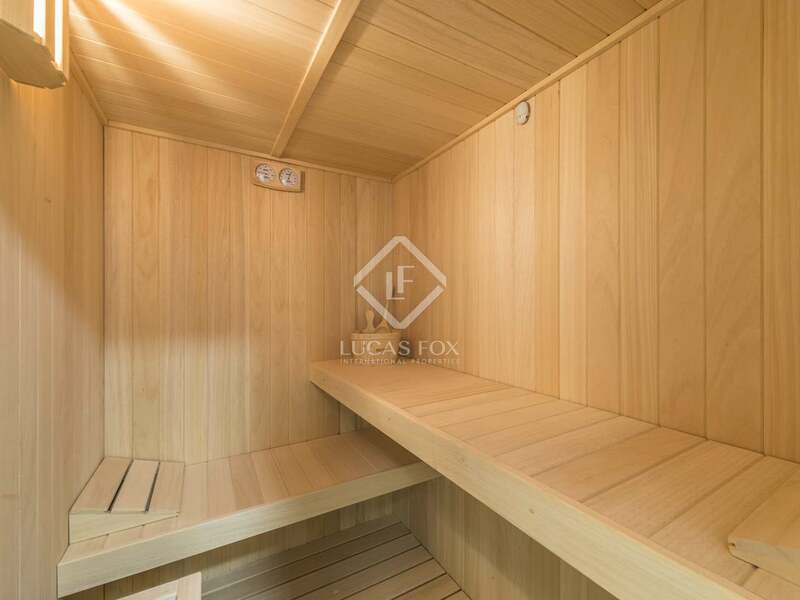 Furthermore, property owners shall enjoy exclusive communal areas such as a gym with a sauna and a bar and lounge with a terrace. 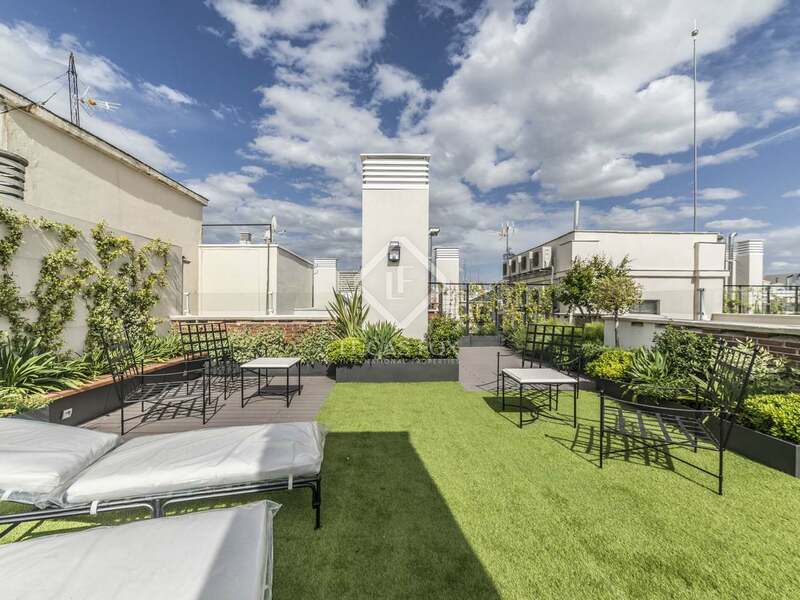 There is also the beautiful rooftop terrace which is a furnished, communal space for sunbathing, relaxation and barbecues. 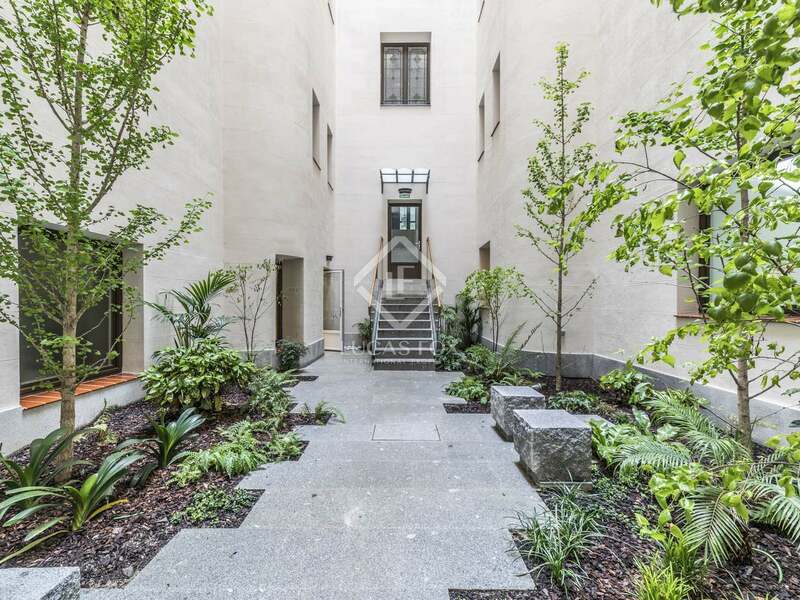 Superb new homes on Calle Serrano. 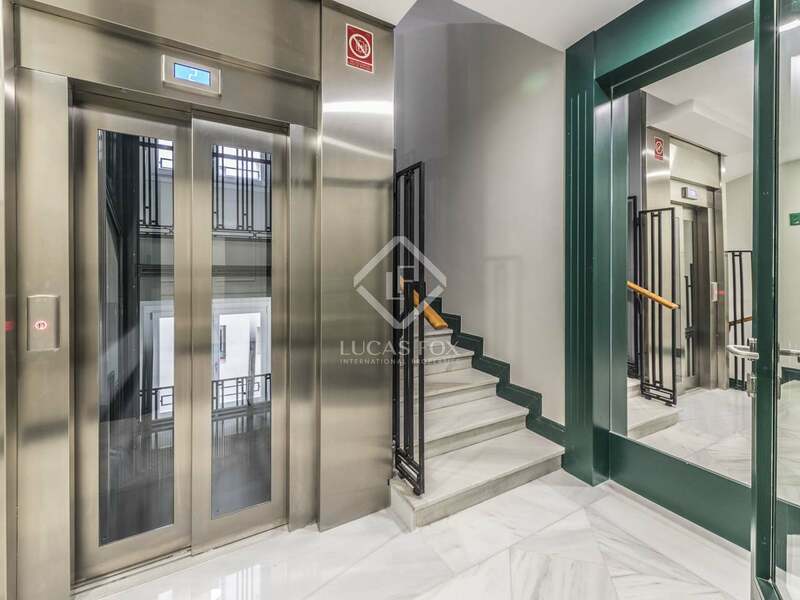 This new development is located in a historic building on Calle Serrano, the most coveted address in Madrid's Salamanca district. 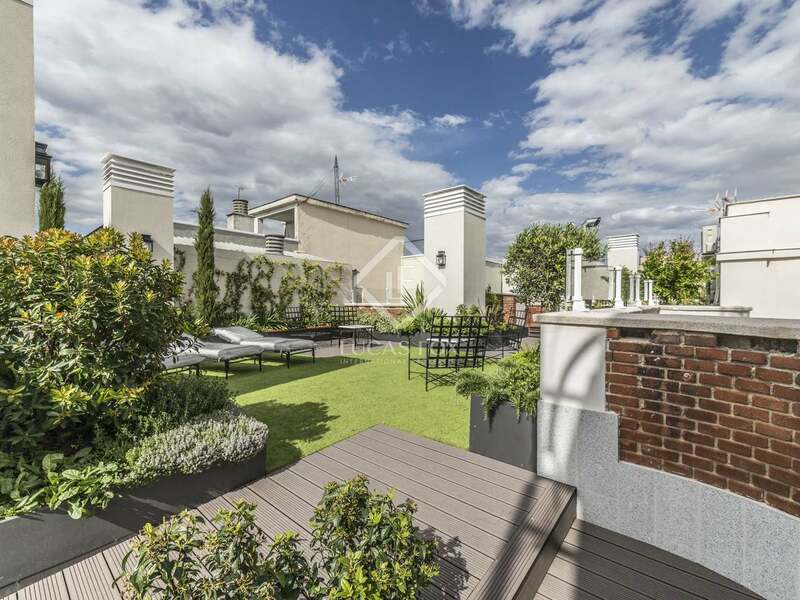 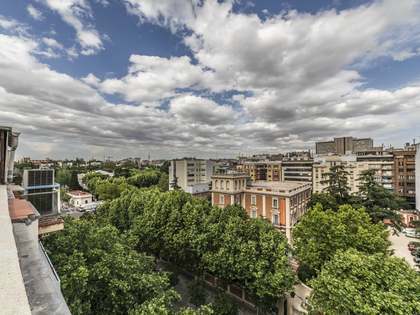 It is near the Gregorio Marañón metro station and on the same street as Madrid's most exclusive and well known shops. 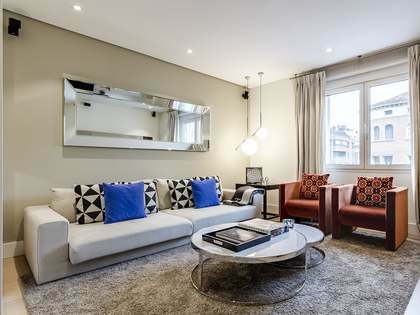 Just 20 minutes from the airport and a 10-minute walk to the famous Retiro Park. 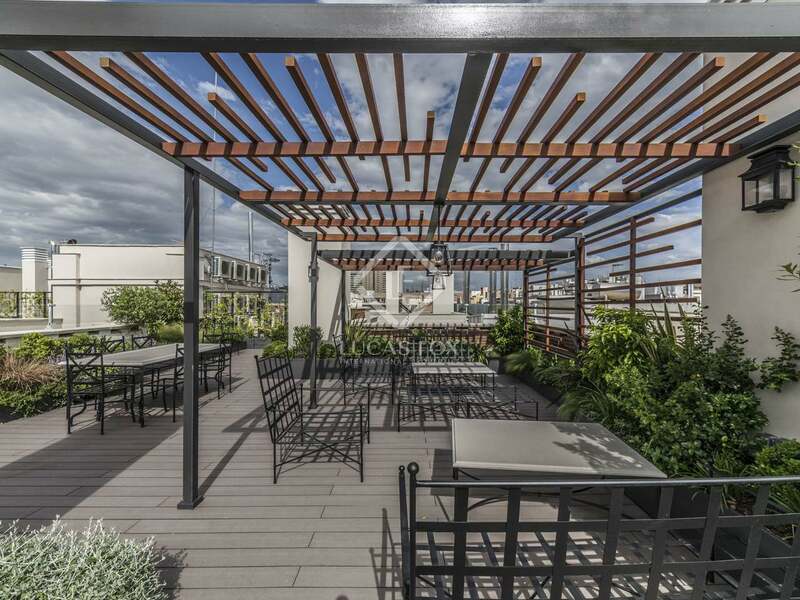 Around the corner from the IE Business School and the IE Law School.